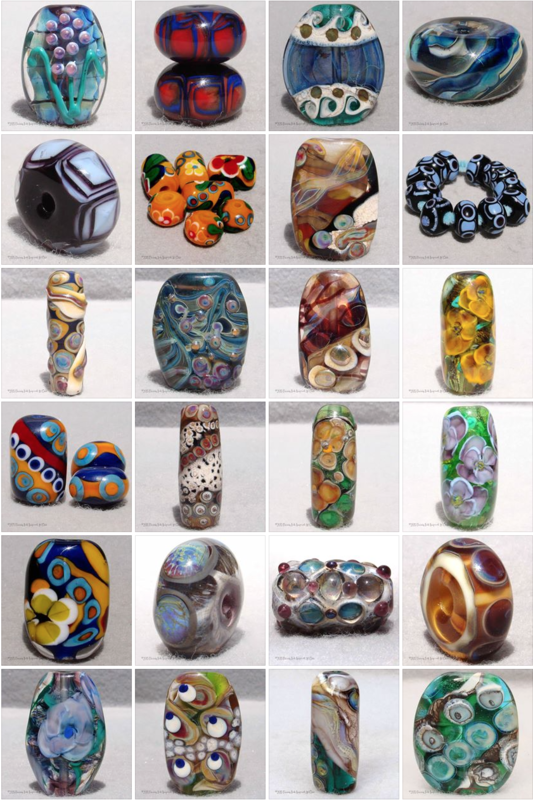 Primarily self-taught, we have developed many styles, and have been oft labeled as having a 'more is more' aesthetic. 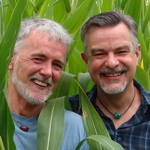 Michael became addicted to the flame after a weekend workshop in 2006, and Brad jumped right into the fun in 2008. 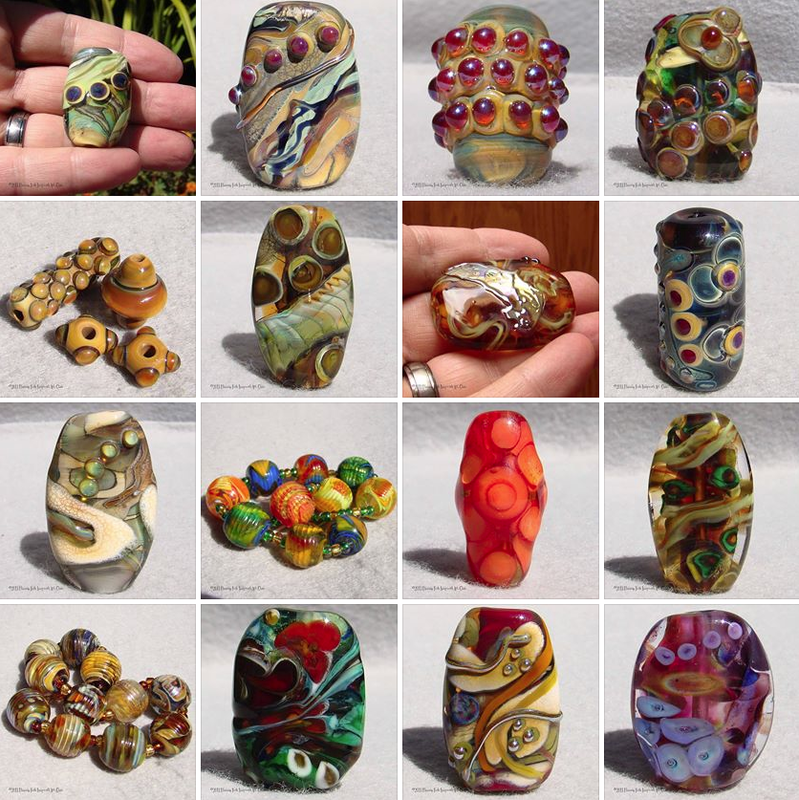 We work from our home, in Oakland, CA, surrounded by an acre of trees, yards, and a small creek running through the property, which fancies itself as a raging river in the rainy months. 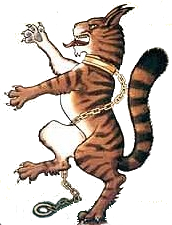 We share our space with our cat Buster, who adopted us in 2011, walking in and making himself at home, and our 2 Amazon parrots, Ollie and Arlo. 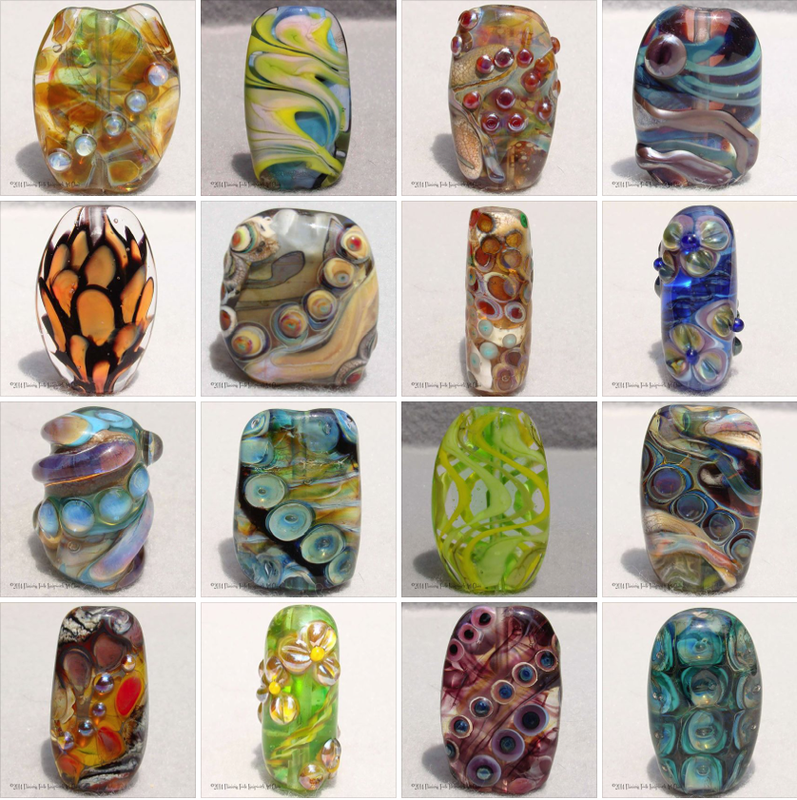 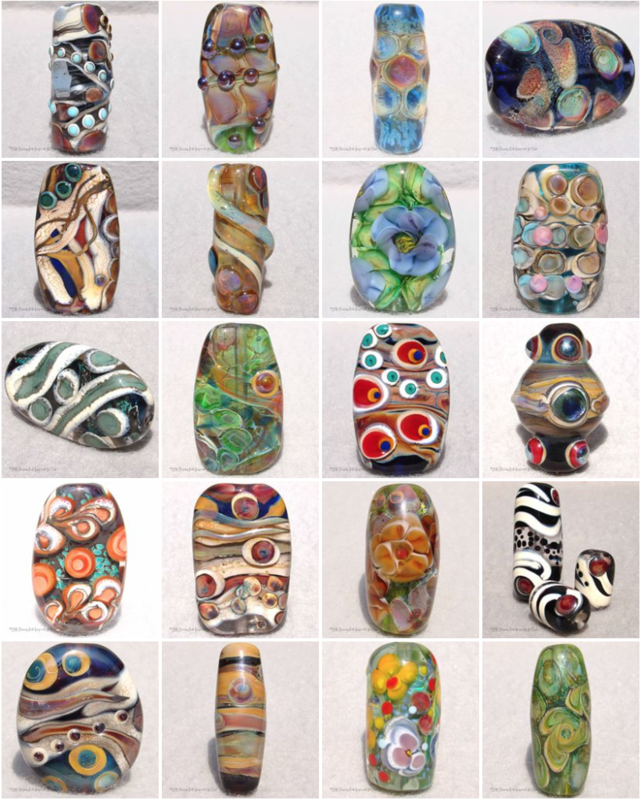 We use Effetre glass from Murano, Italy, and Double Helix and Kugler silvered glasses. 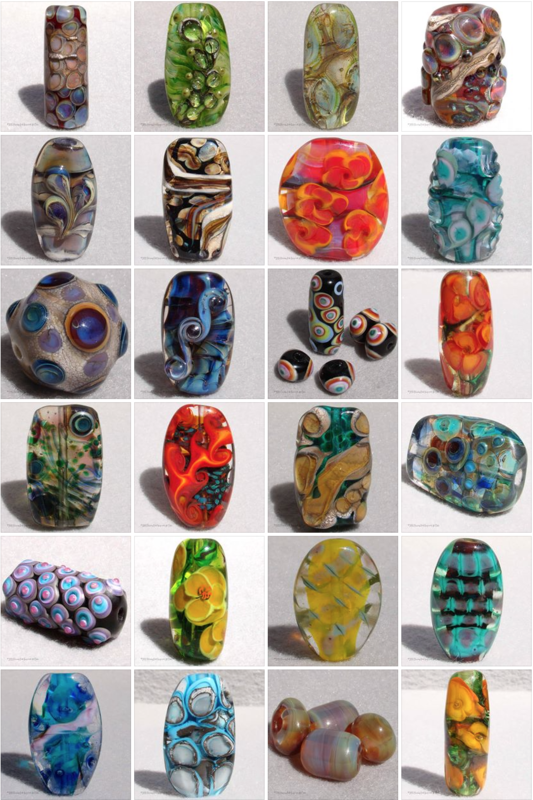 All pieces are slowly annealed and cooled in a digitally controlled kiln, giving them strength and durability. 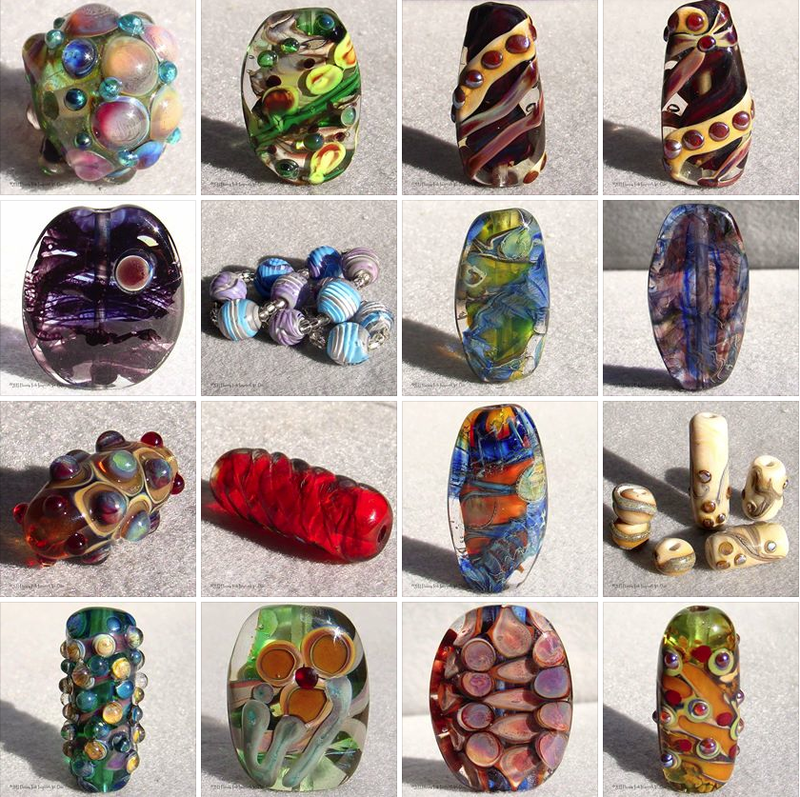 Pictures of some of our recent creations are shown at the bottom of this page. 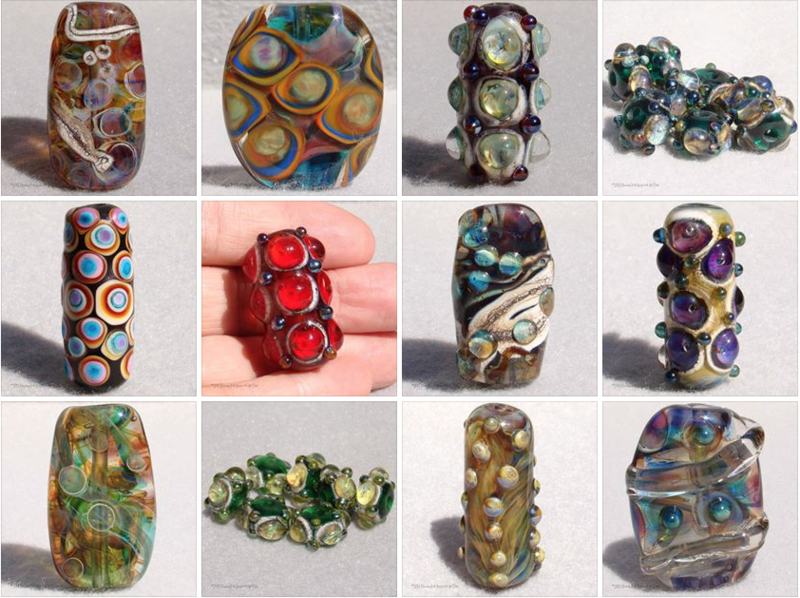 Items currently for sale can be purchased by using the links given below for ETSY or eBay. 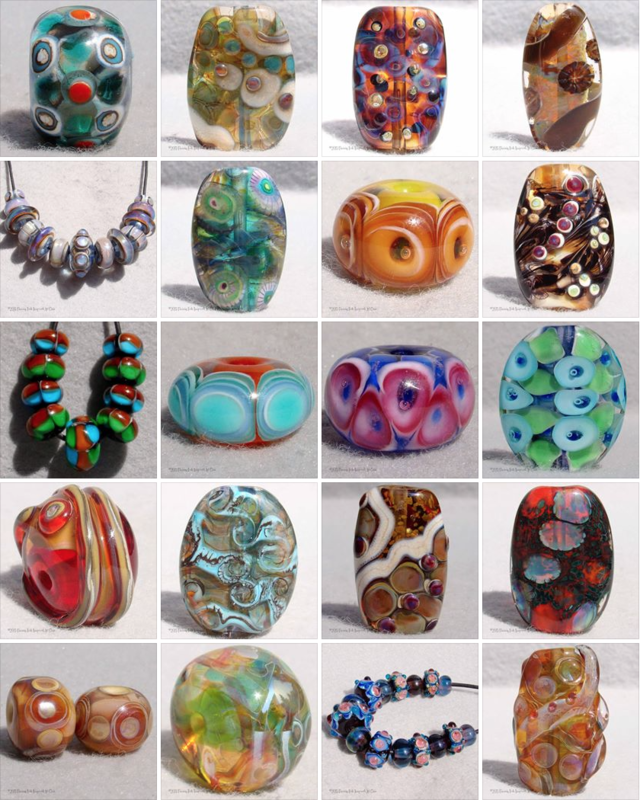 Both venues accept PayPal. 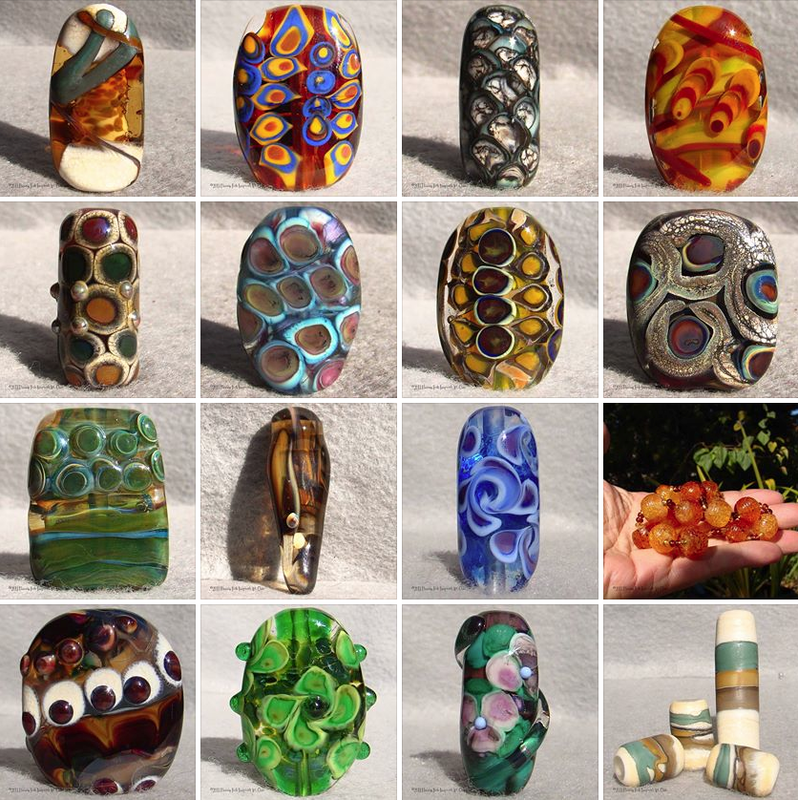 You can use your credit card directly on Etsy without having a PayPal account. 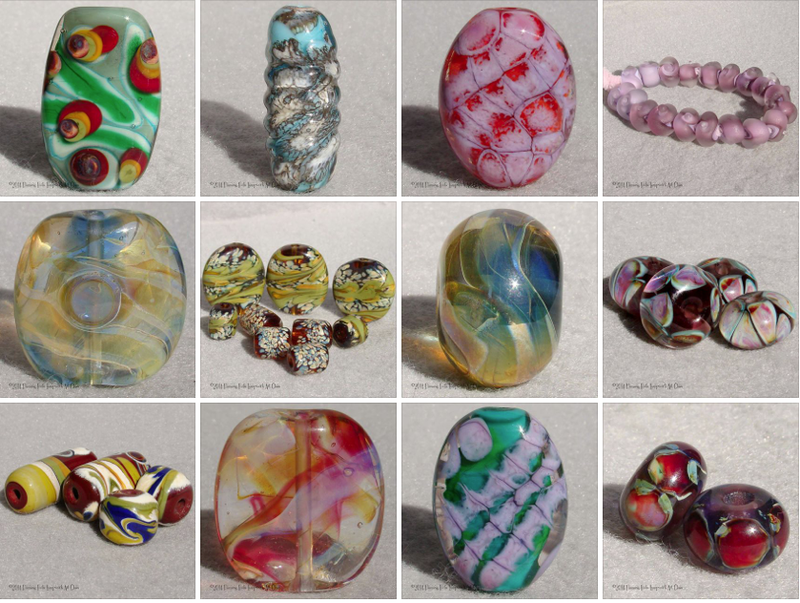 Currently, shipping within the U.S.A is FREE, no matter the number of beads purchased at a time. 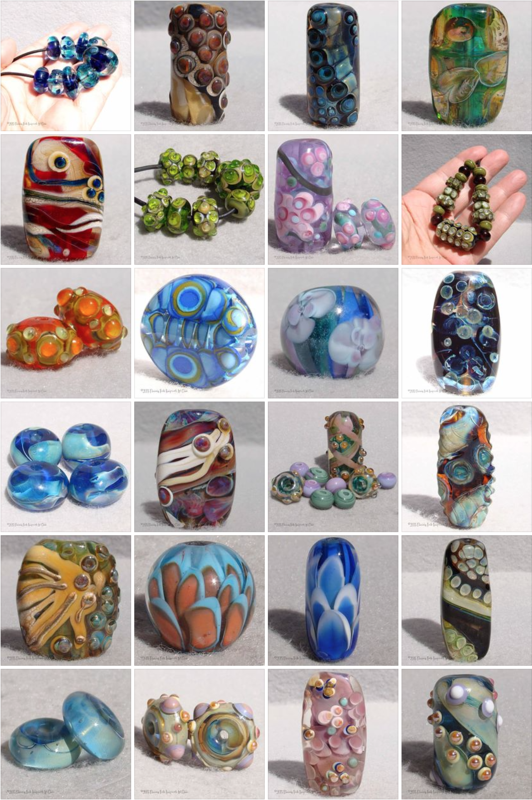 International shipping is based on weight. 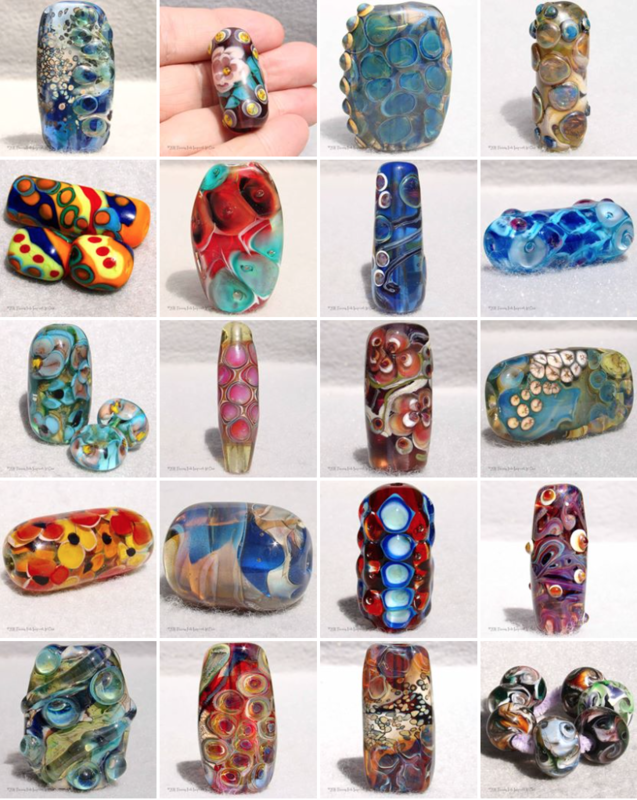 If you wish to purchase an item directly from us, and cannot use eBay or Etsy, please contact us via email using the link below. 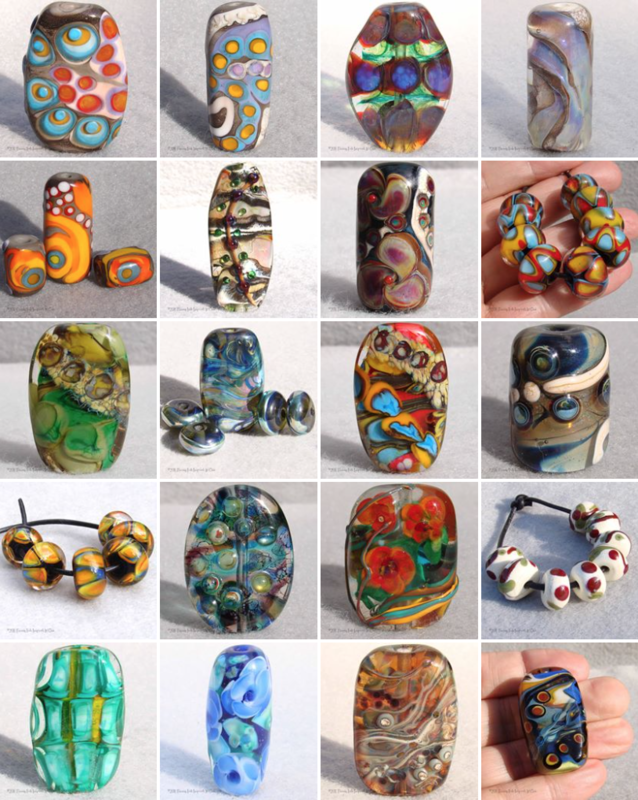 Here is a clickable preview of some of our work which is currently for sale on Etsy. 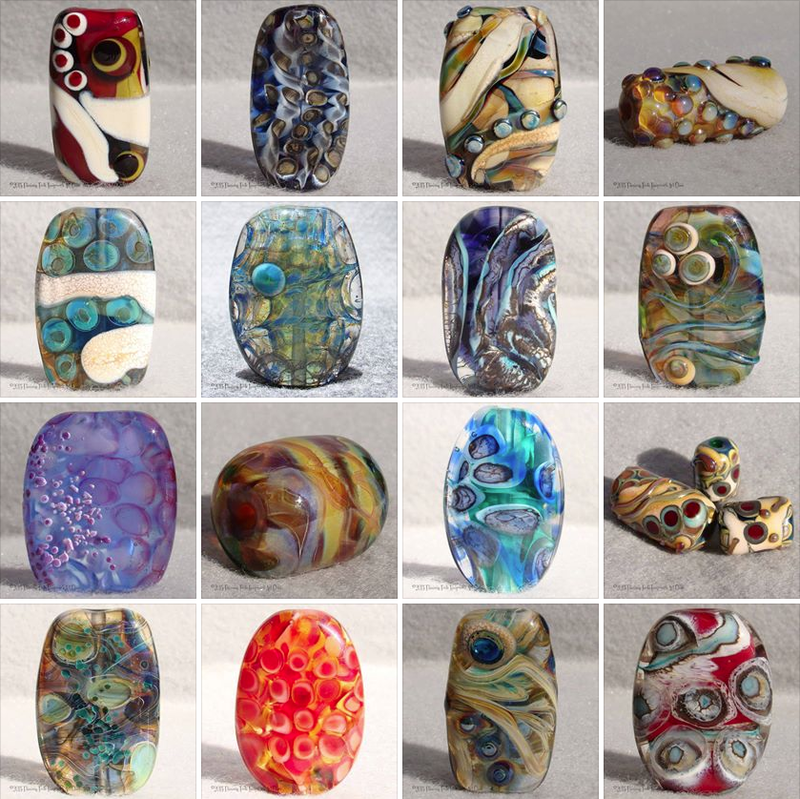 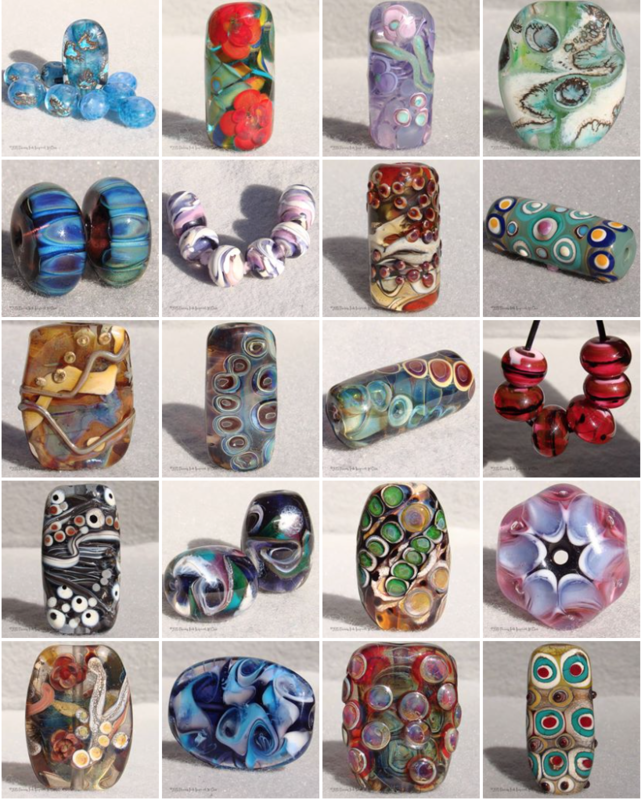 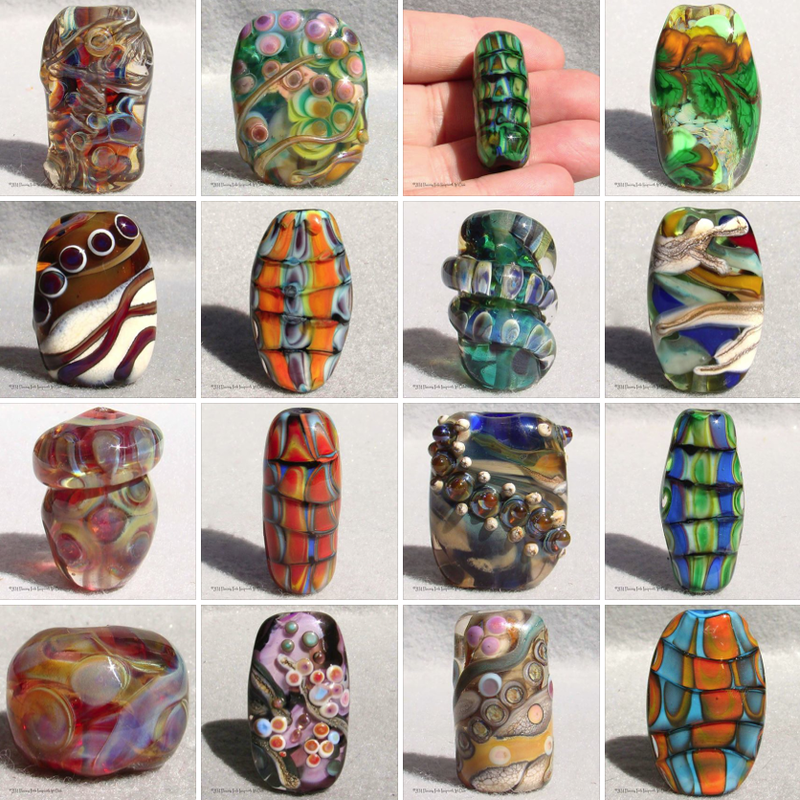 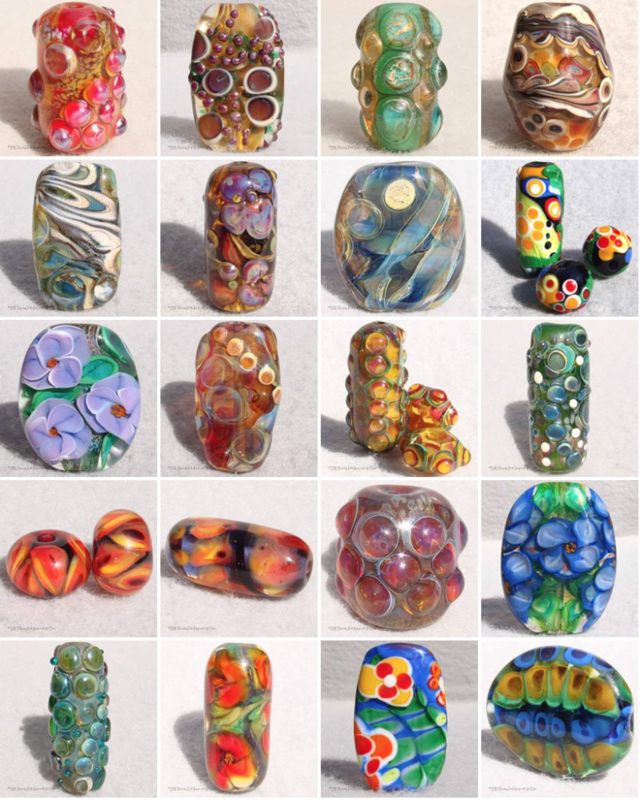 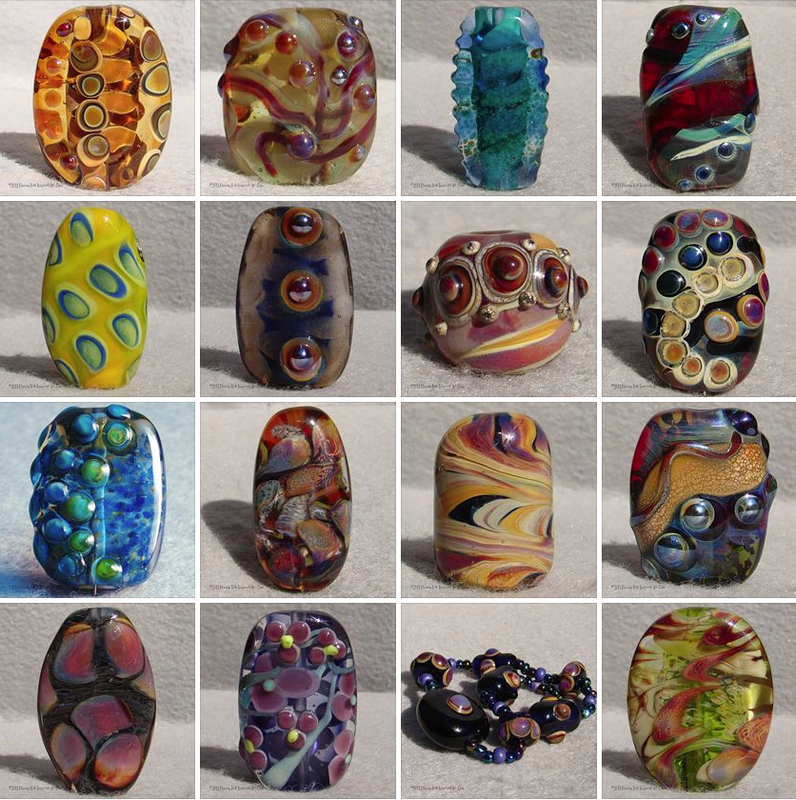 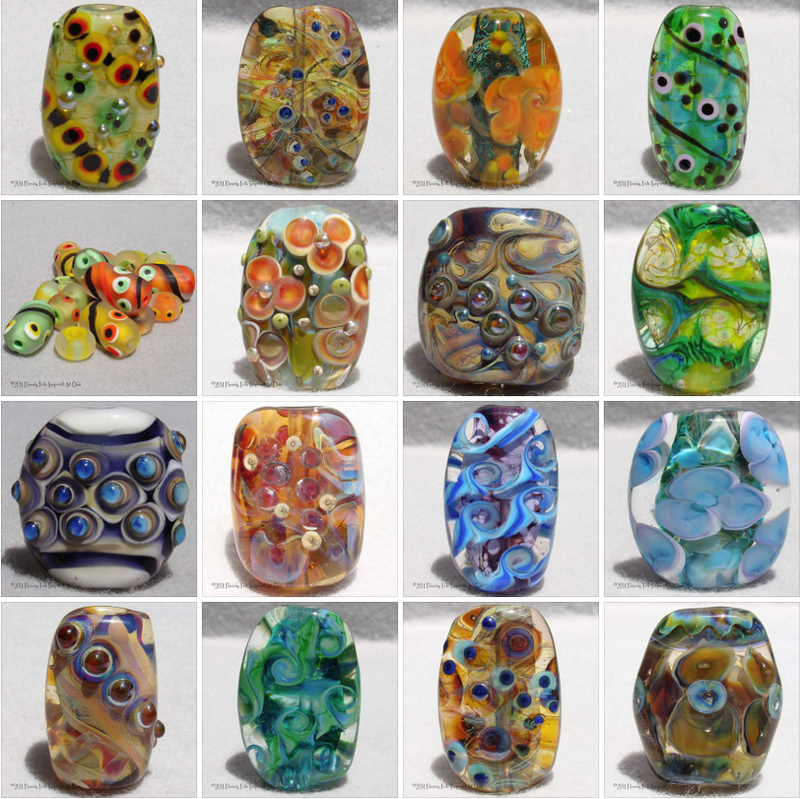 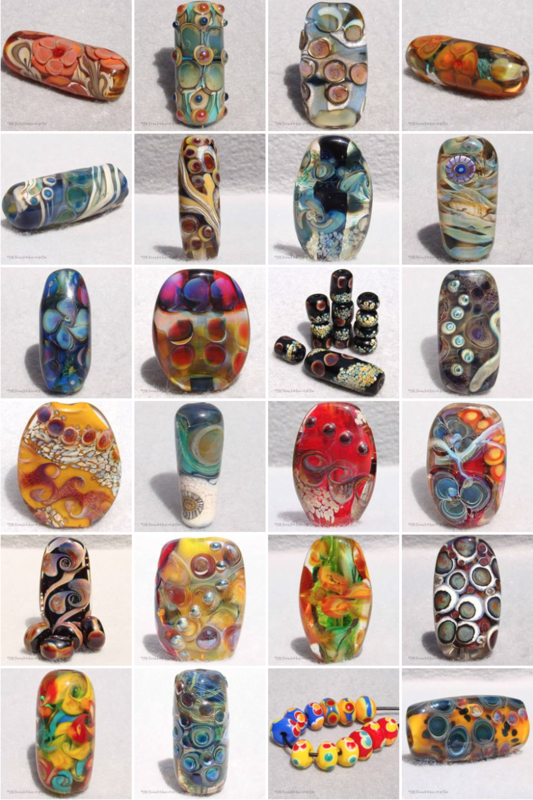 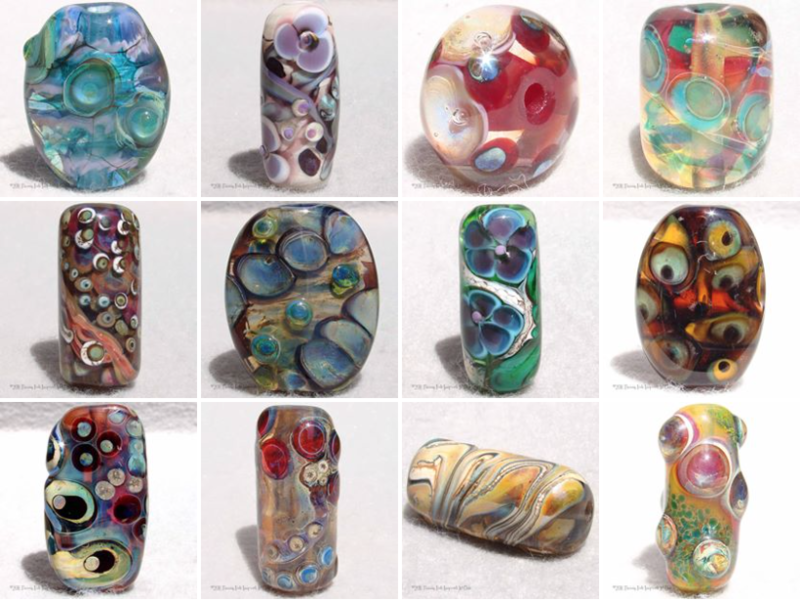 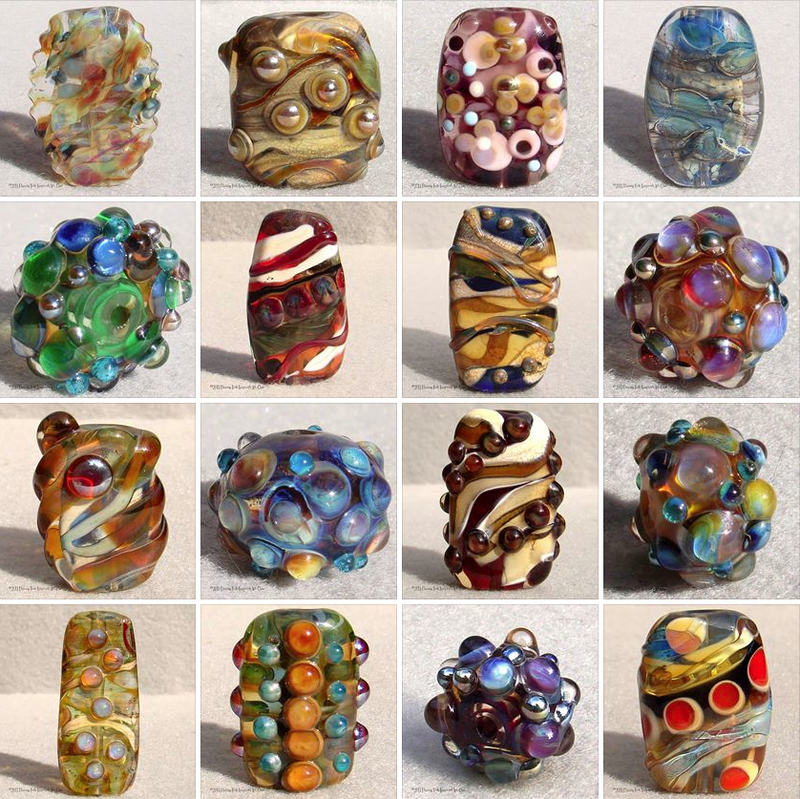 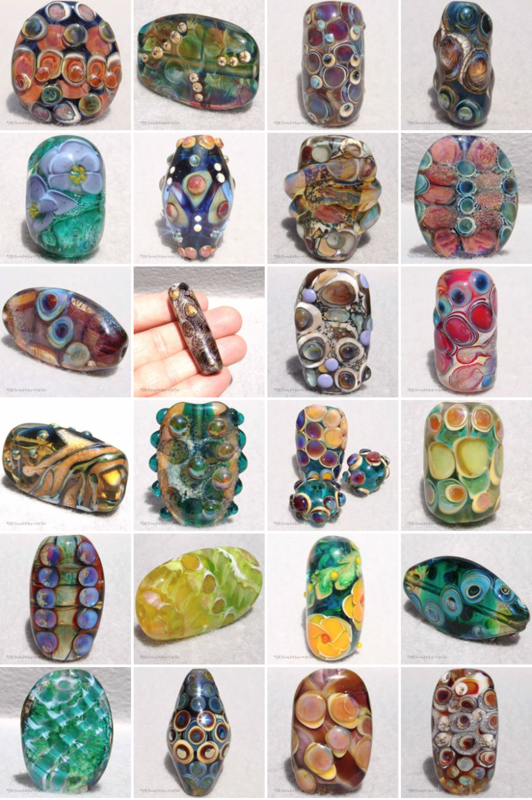 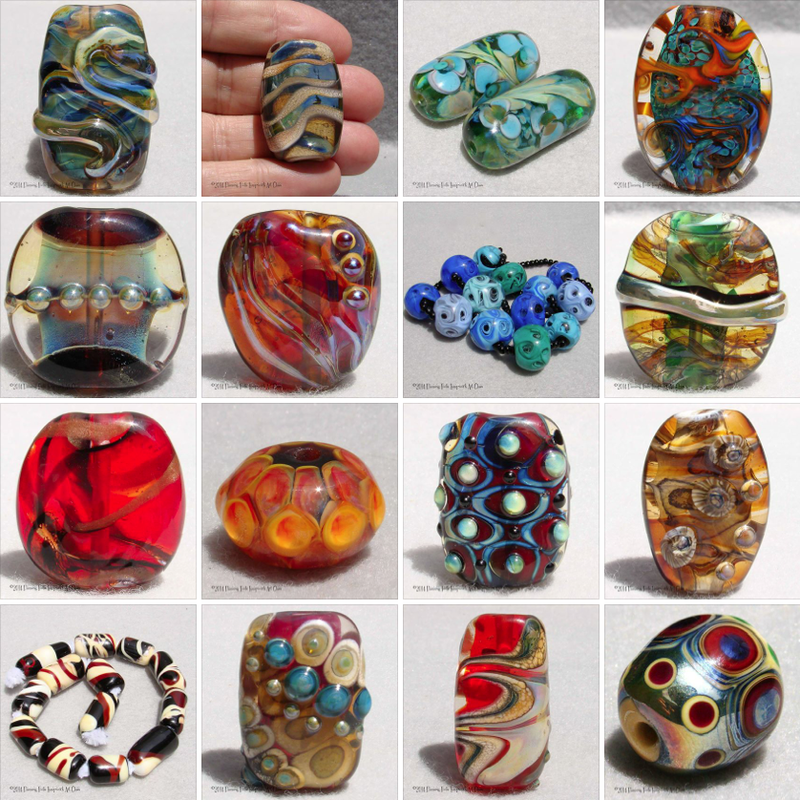 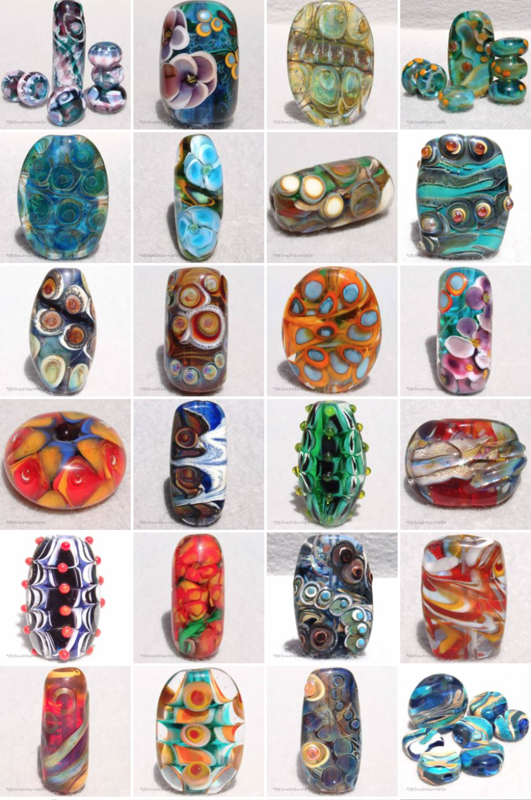 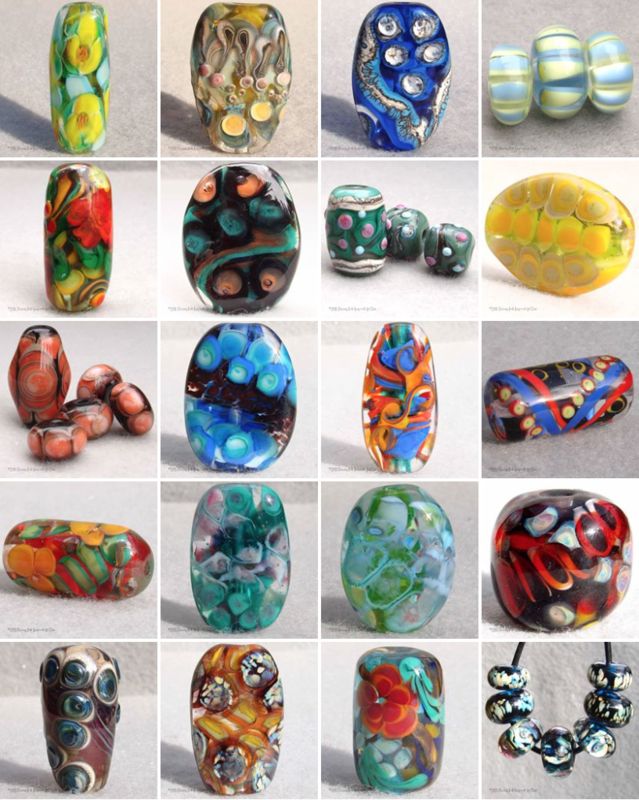 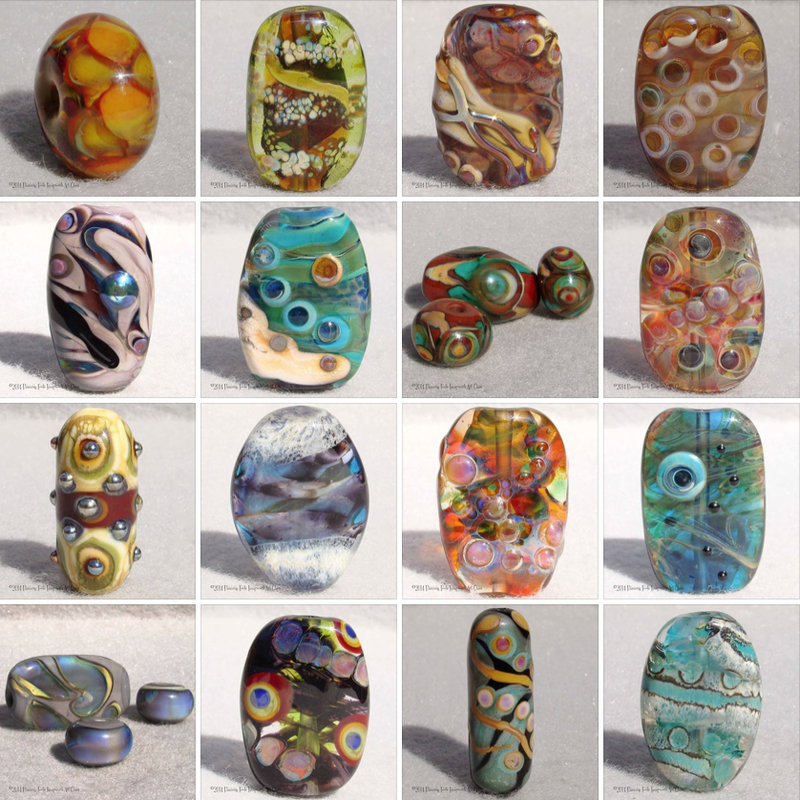 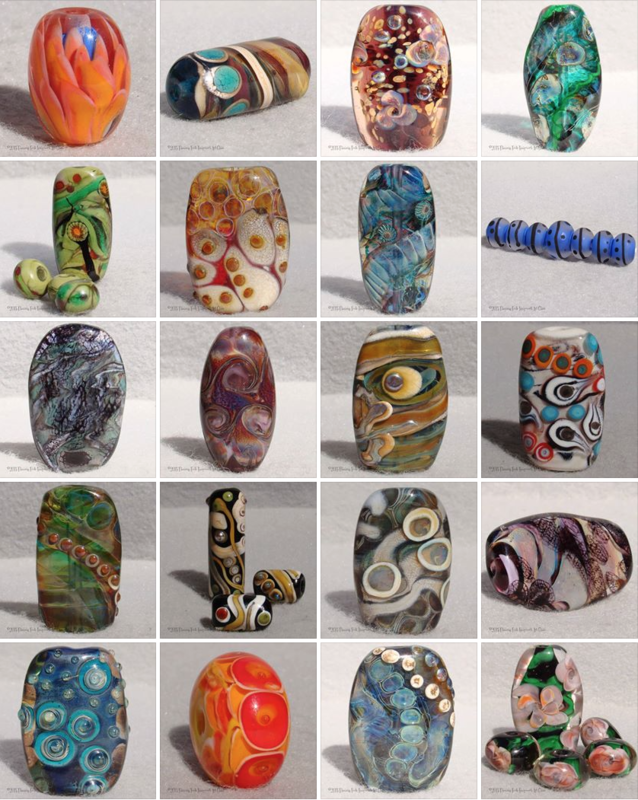 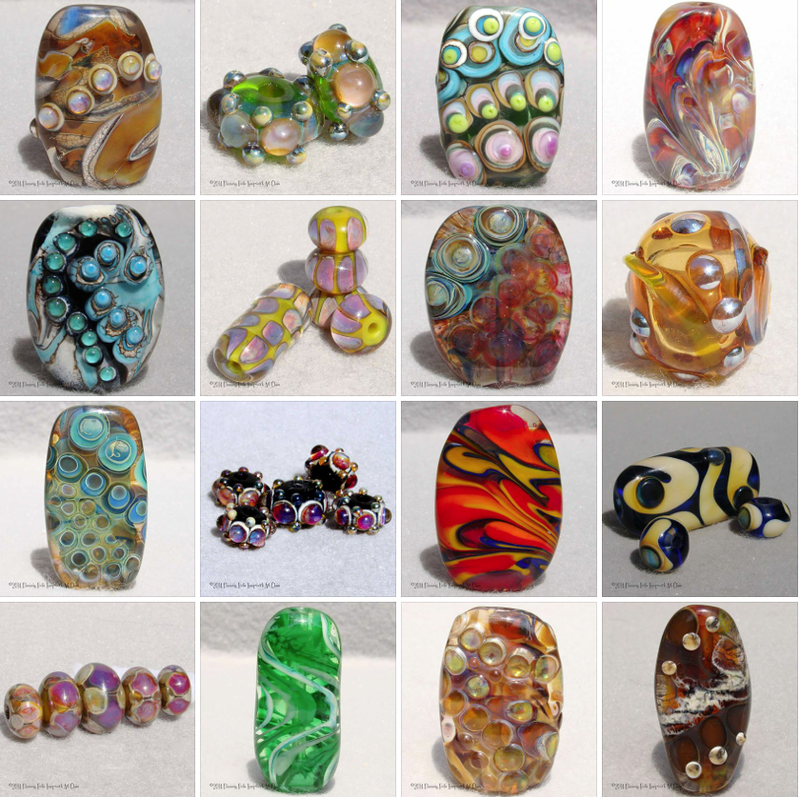 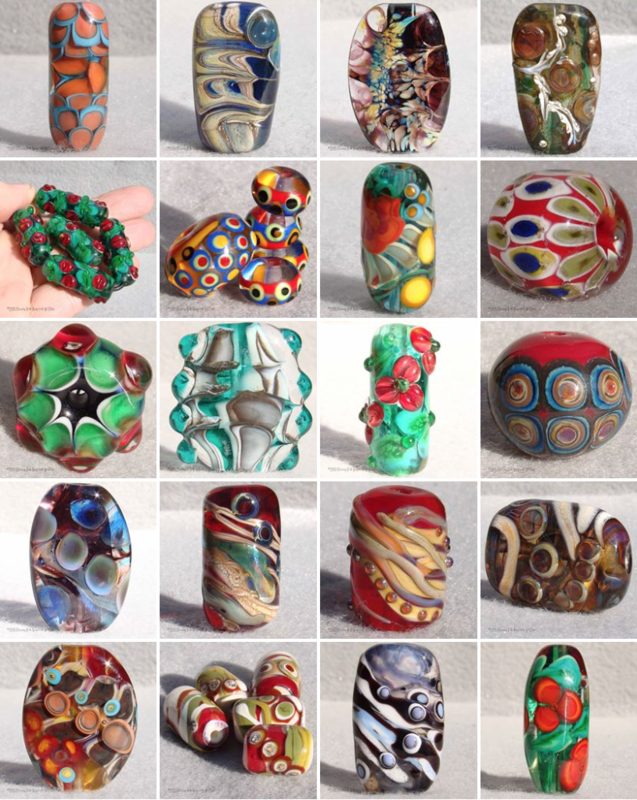 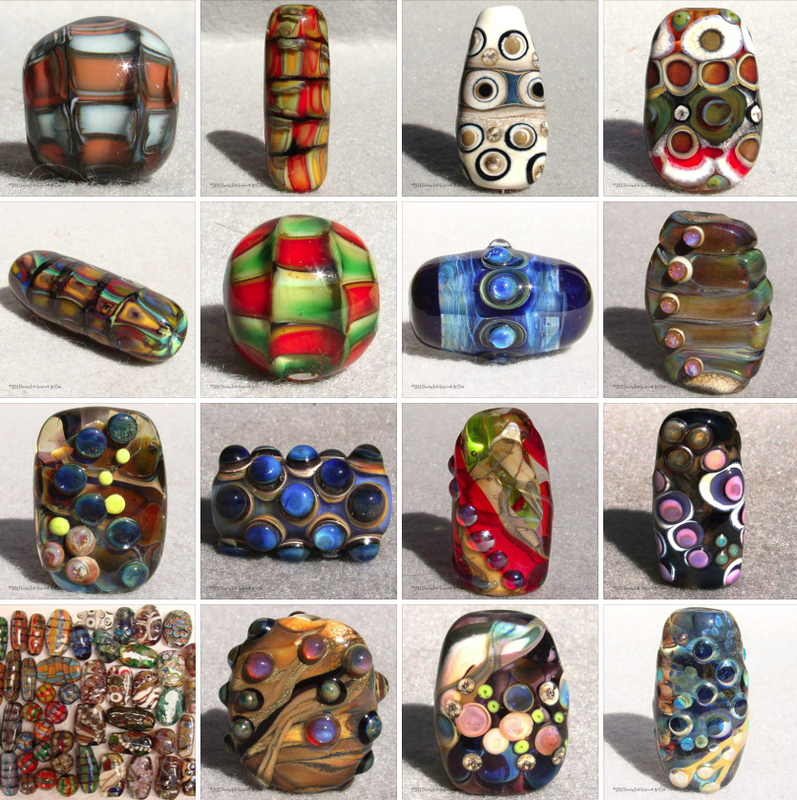 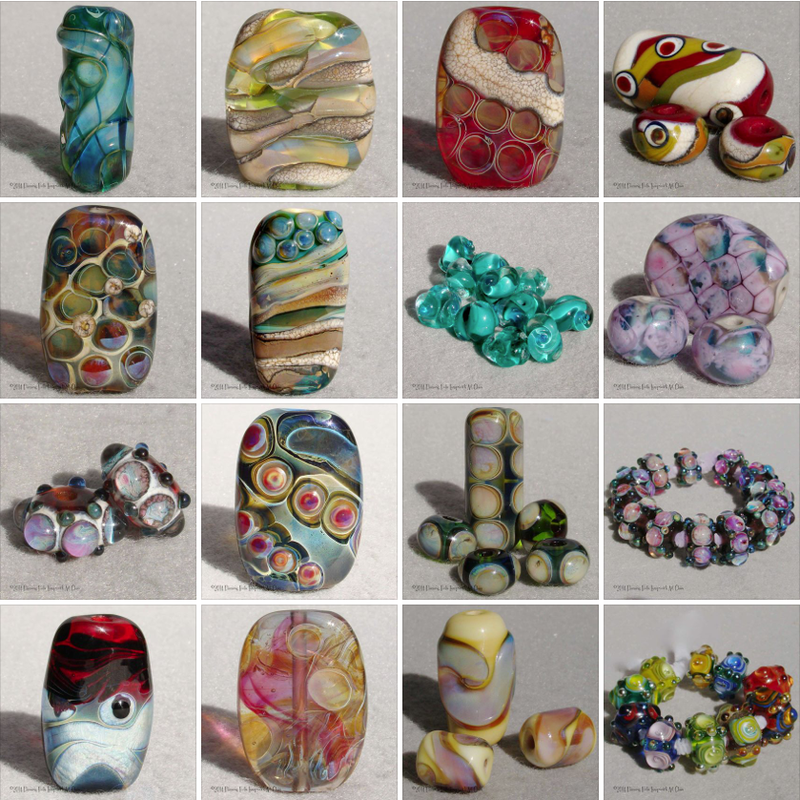 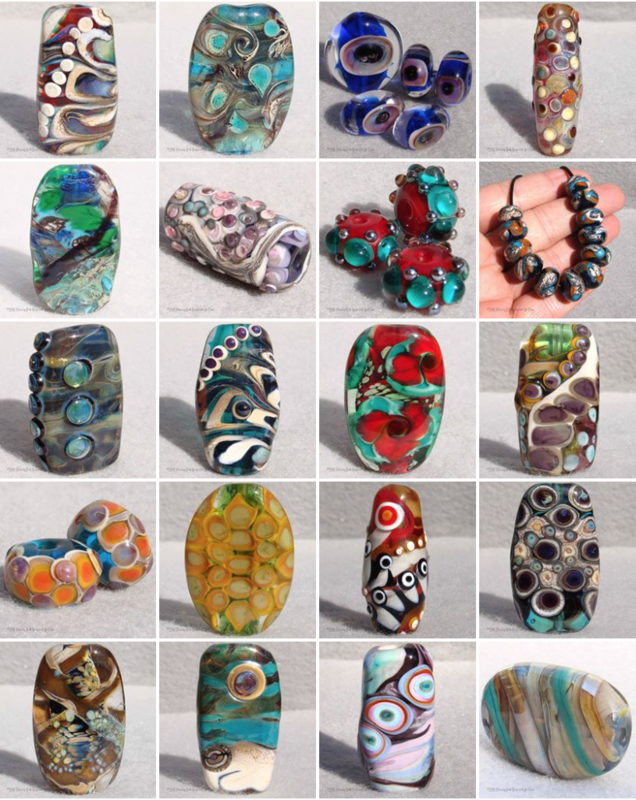 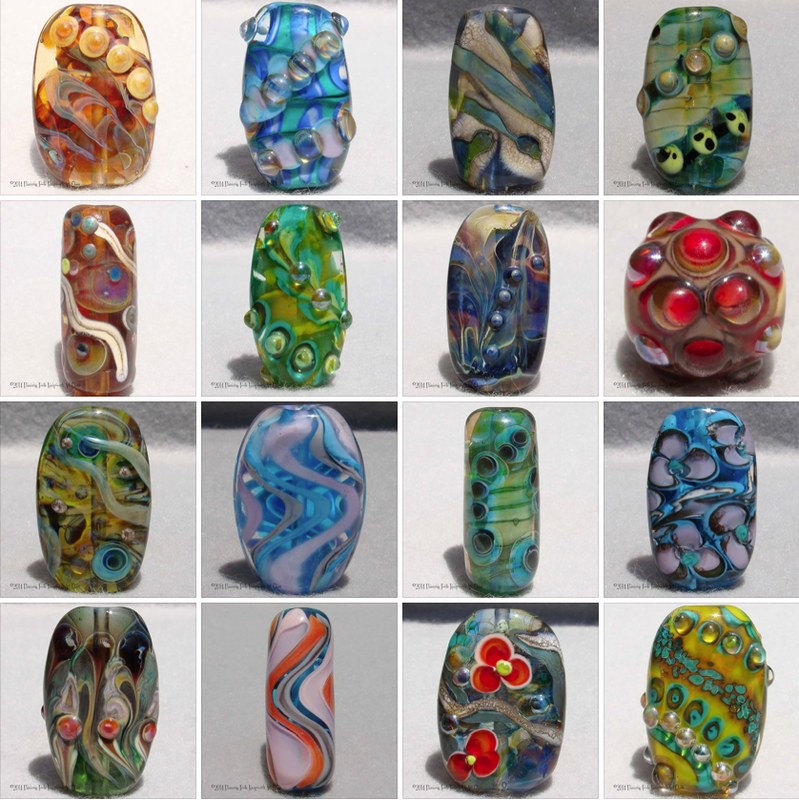 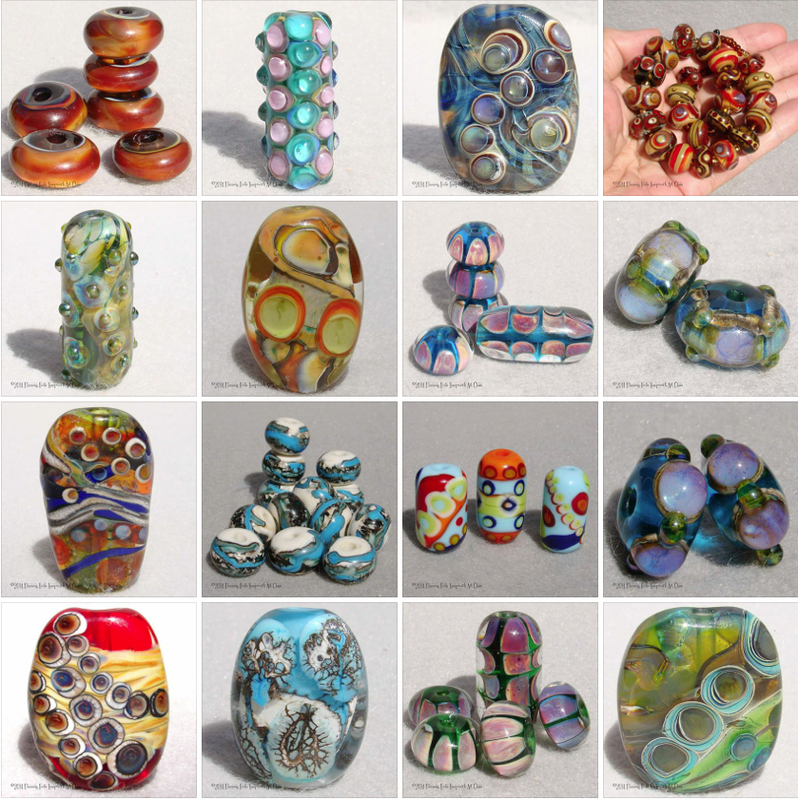 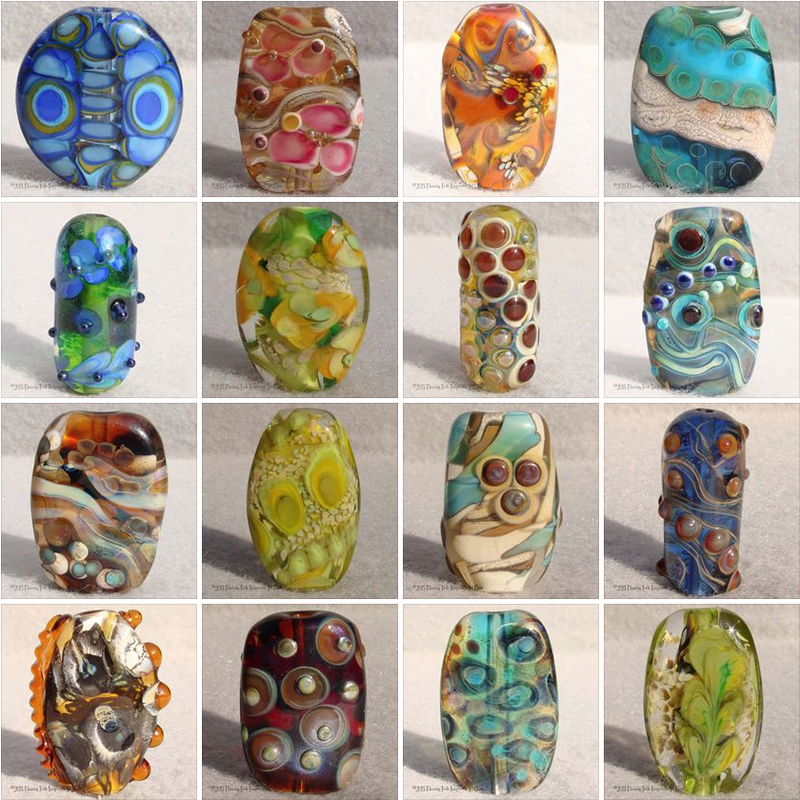 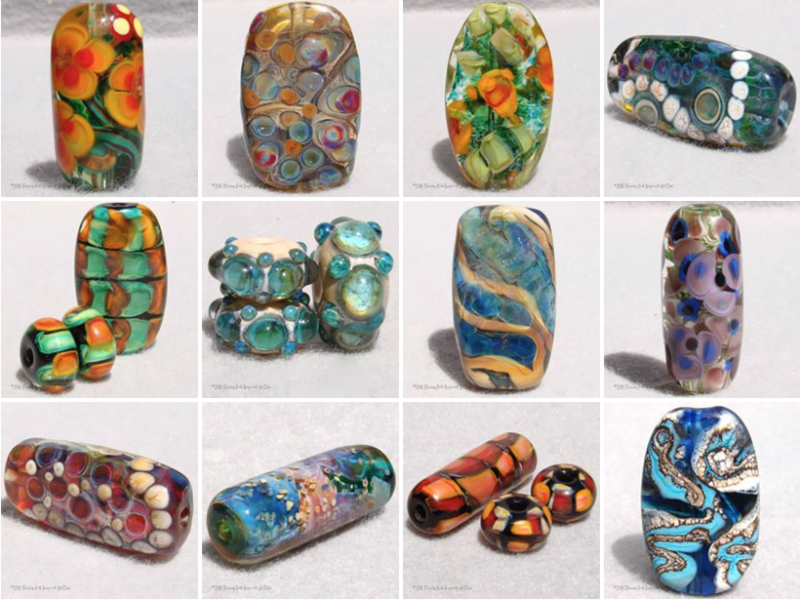 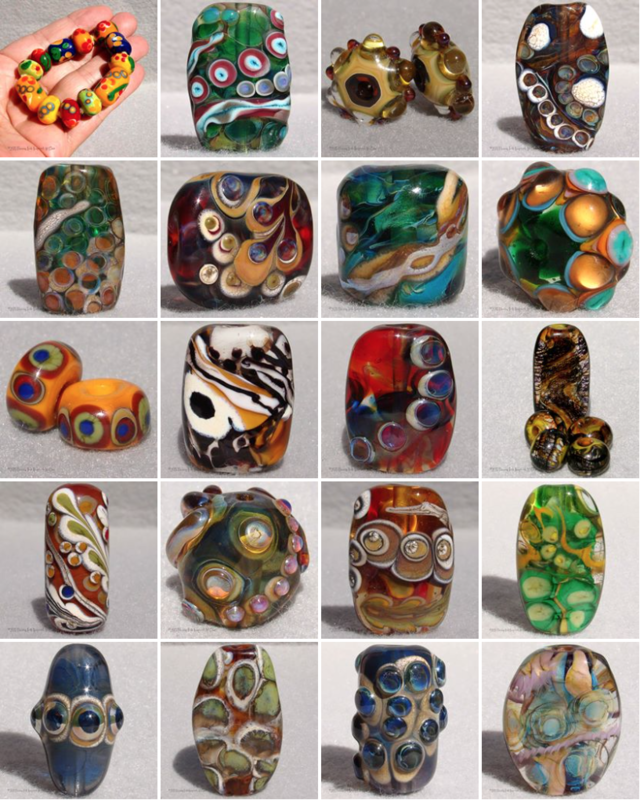 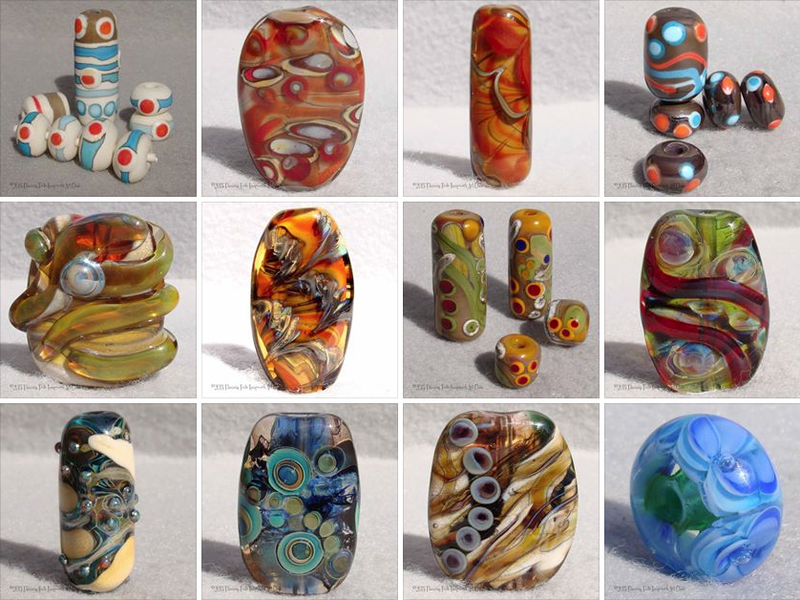 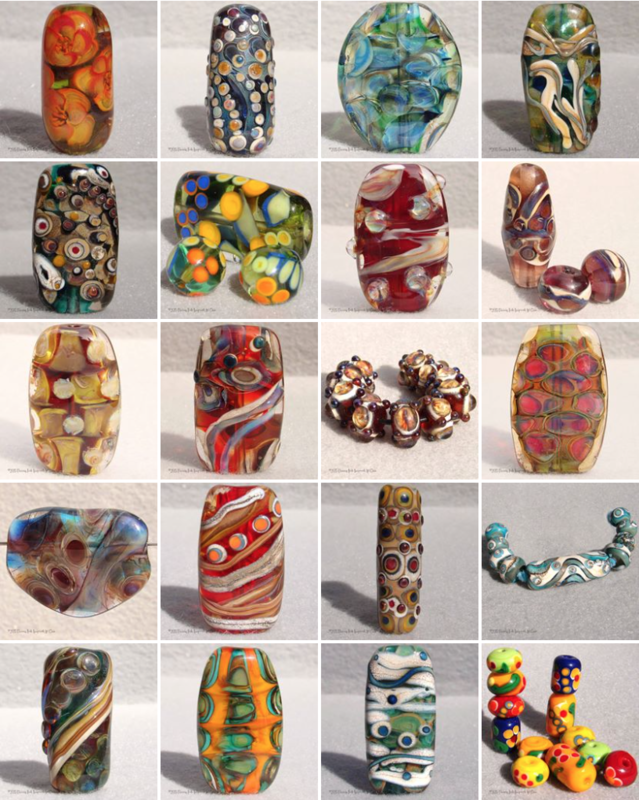 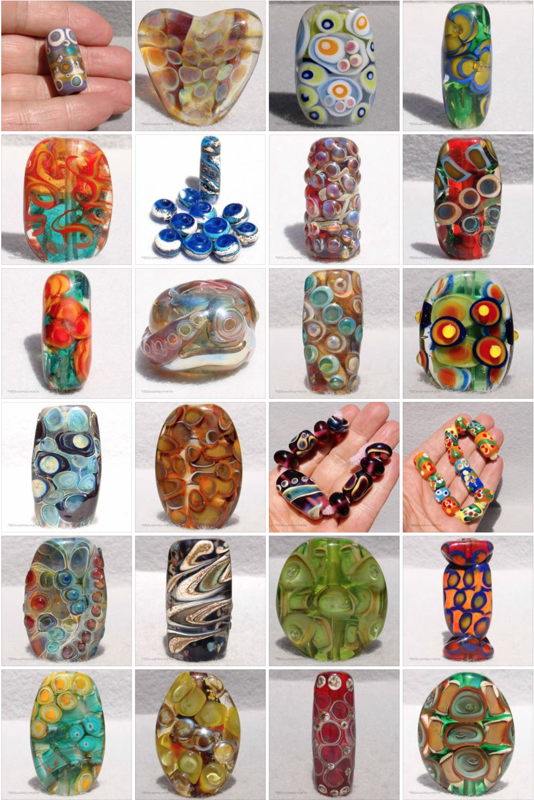 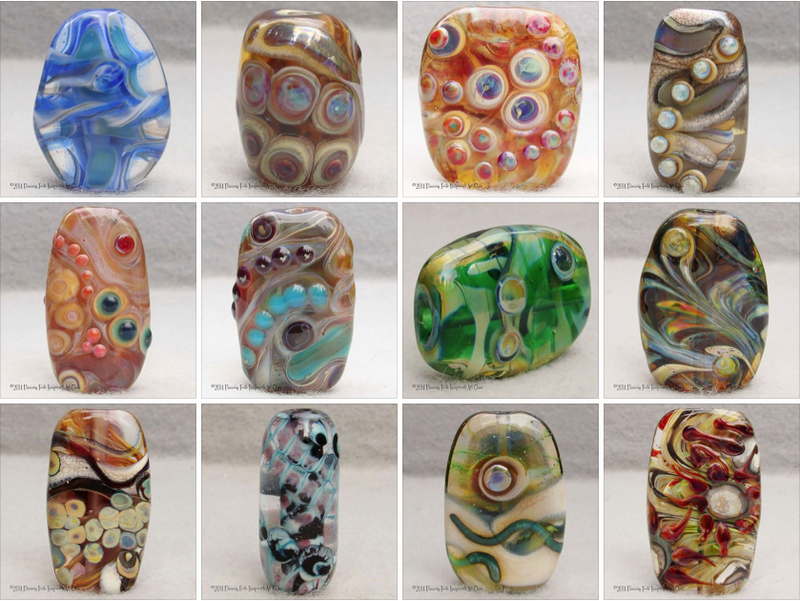 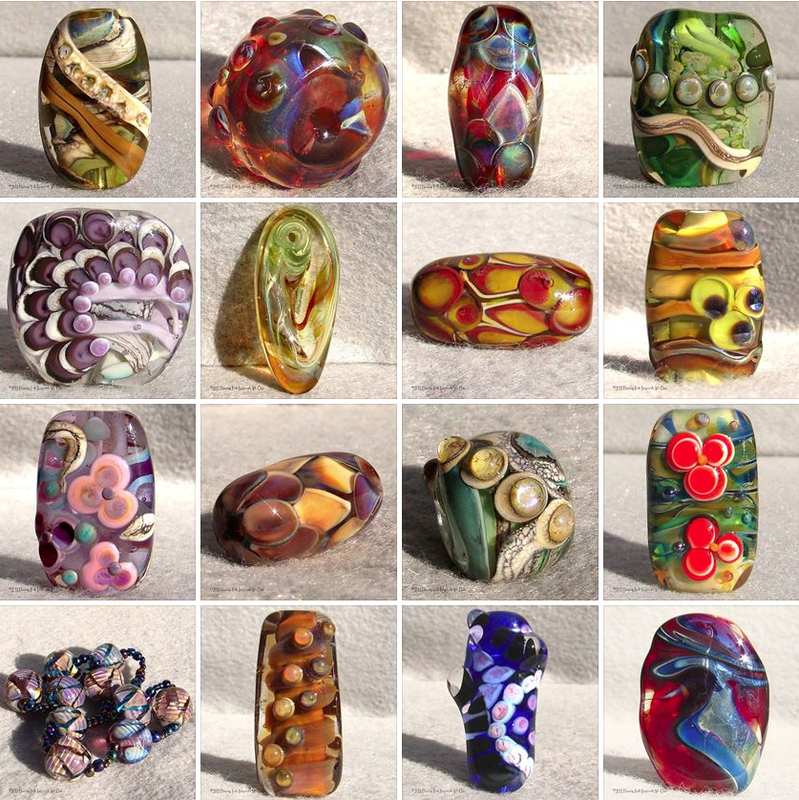 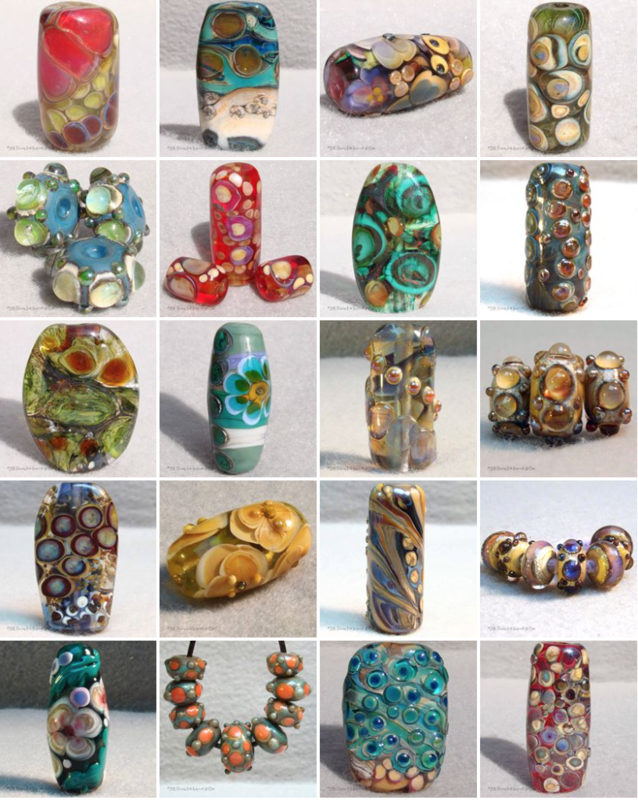 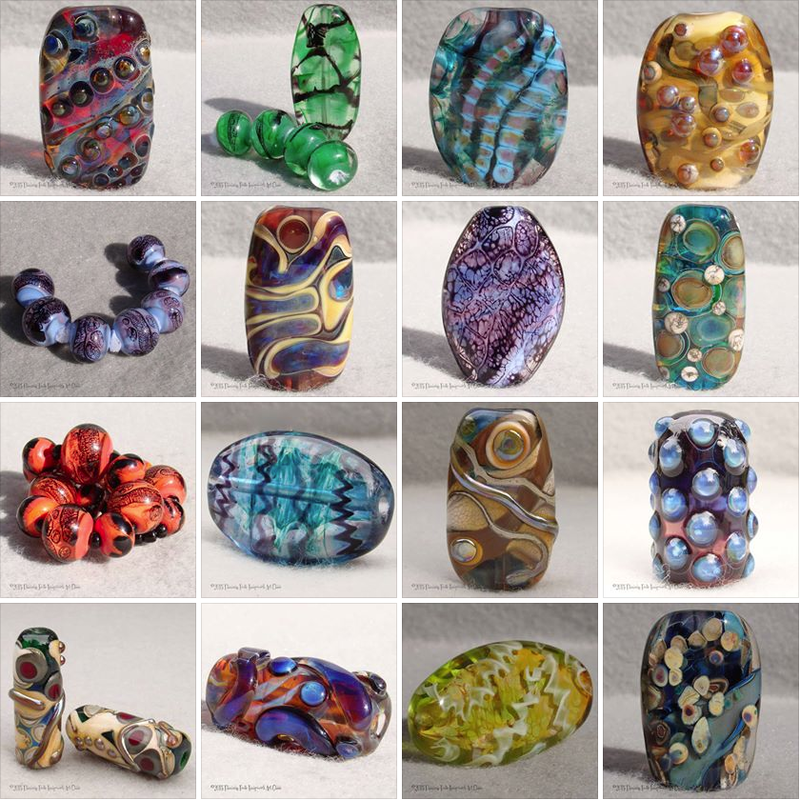 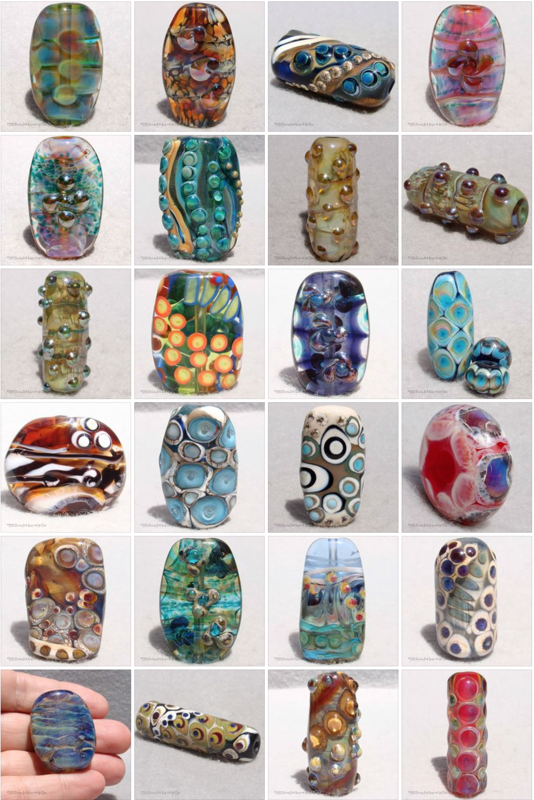 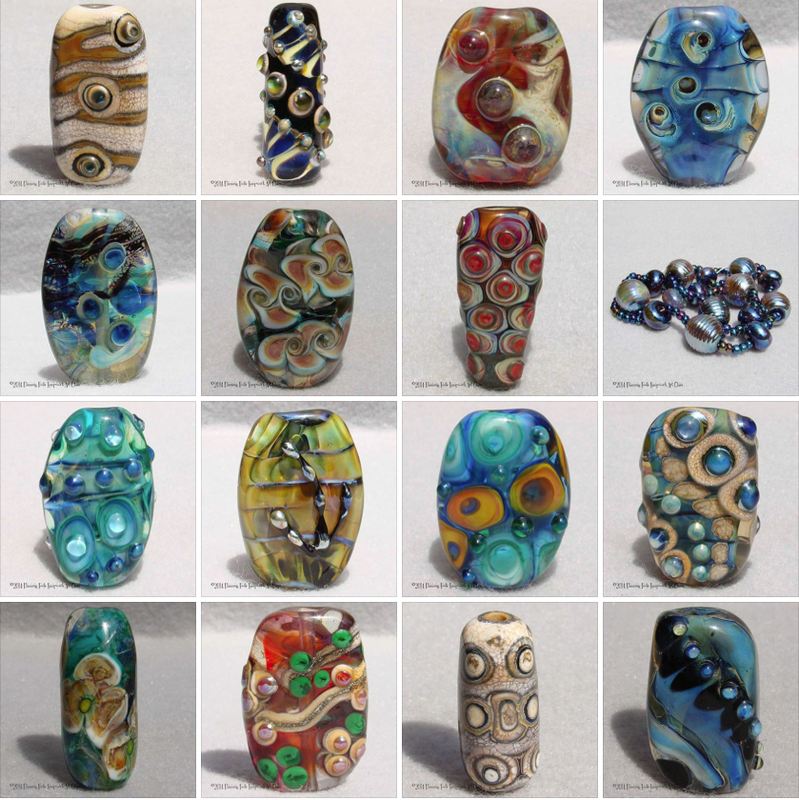 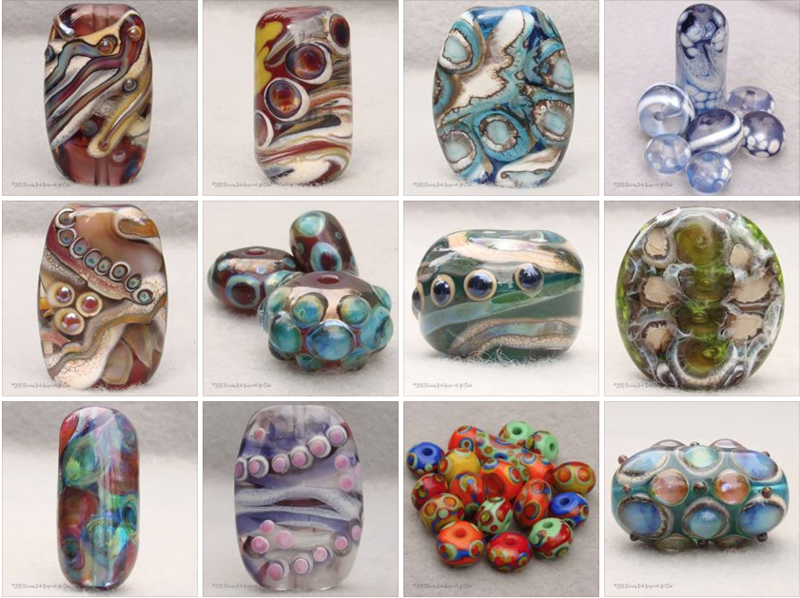 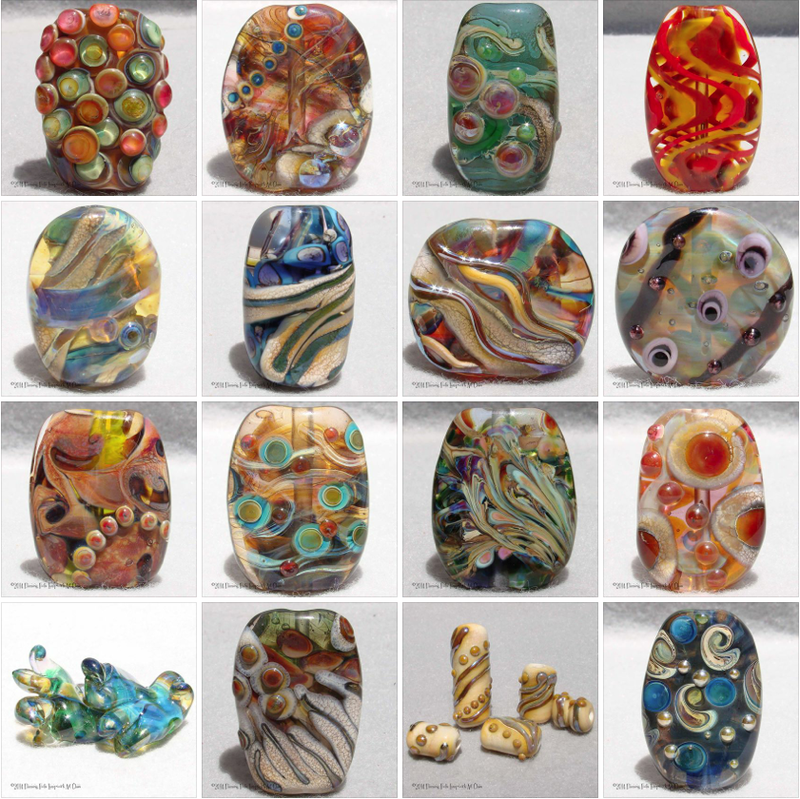 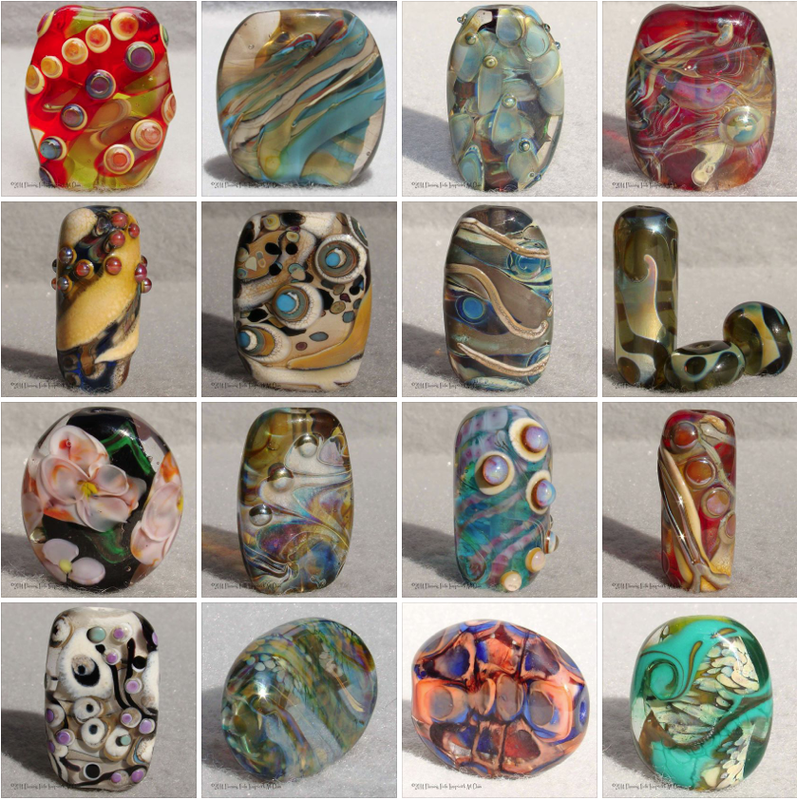 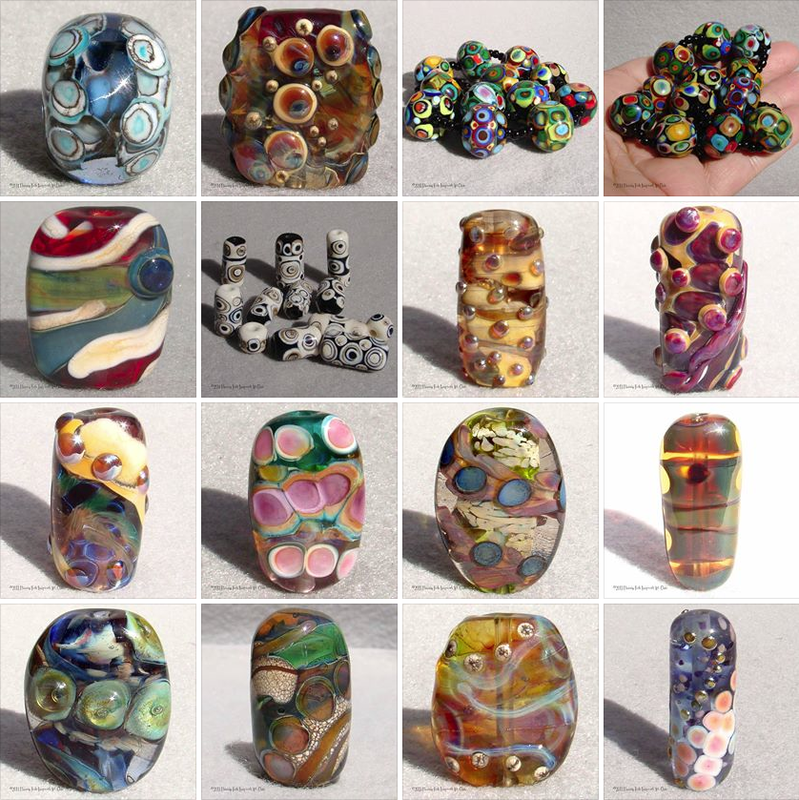 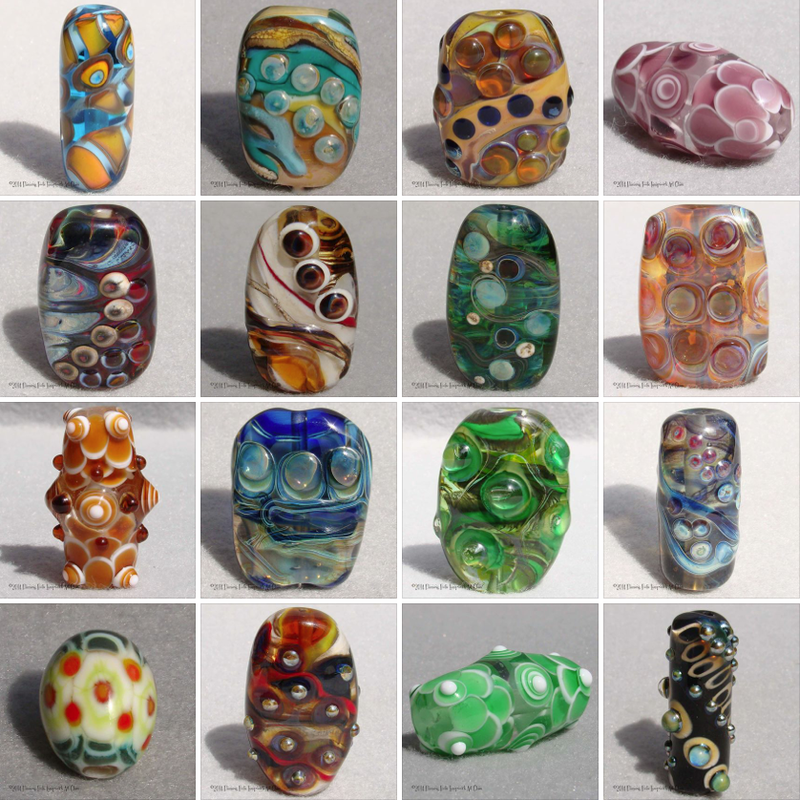 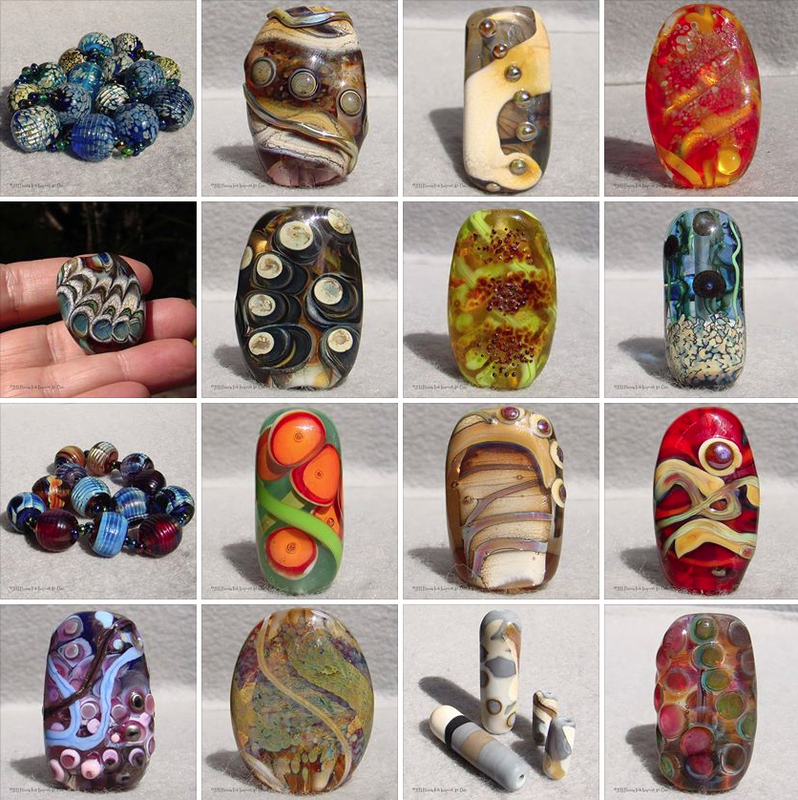 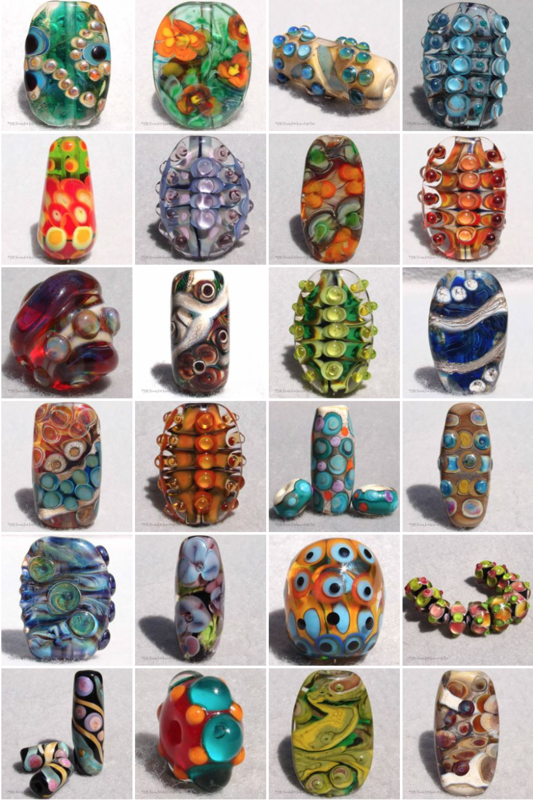 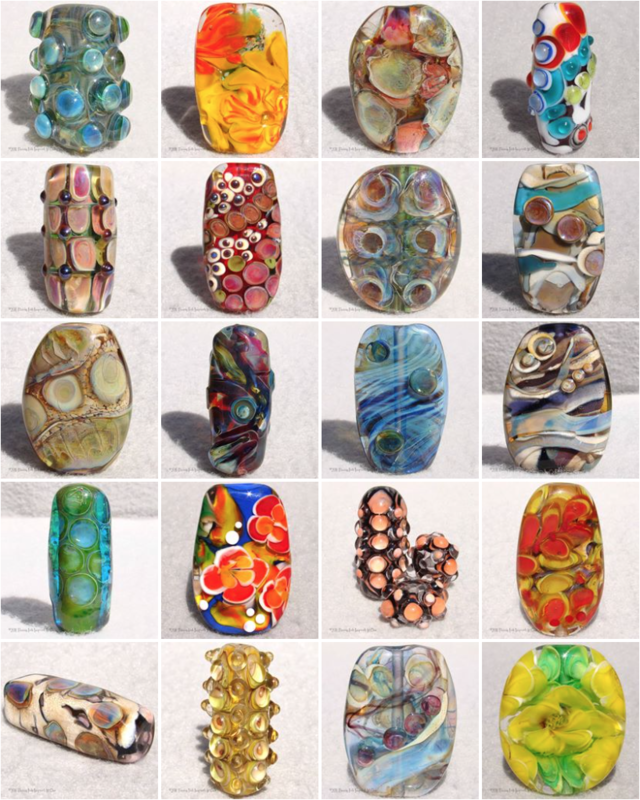 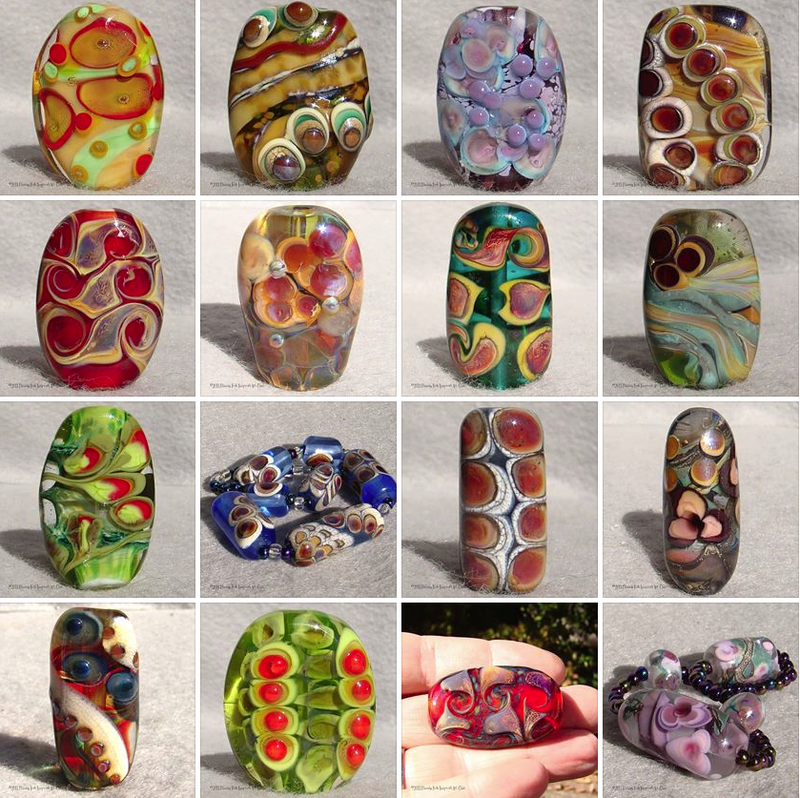 We are members of SRA, Self Representing Artists, a group of glass artists who are dedicated to the art of lampworking, an ancient art form that flourished in Italy in the 1300s and then spread throughout Europe, the Americas and the rest of the world.